Temporary activities includes cultural exchange and staff exchange, highly skilled temporary work, entertainment and sports activities. Other working visas allow short term stay with working permit. Highly skilled with at least three (3) years work experiences and competent English to be sponsored by accredited business for permanent Full-Time employment. Upon receiving your request either through telephone, online enquiry or emails; we will start our general research and making an appointment with you either meeting face-to-face or online consultation. During the consultation, we will prepare a list of critical questions to invite for your inputs. Such inputs will reflect on the accuracy of success of your potential Australian visa. After the consultation, we will require you to furnish us relevant materials (i.e. birth certificates, ID cards, passports, working documents and etc). After assessing the possibility of your visa application, we will then draft an agreement for your authorisation to take on our service. 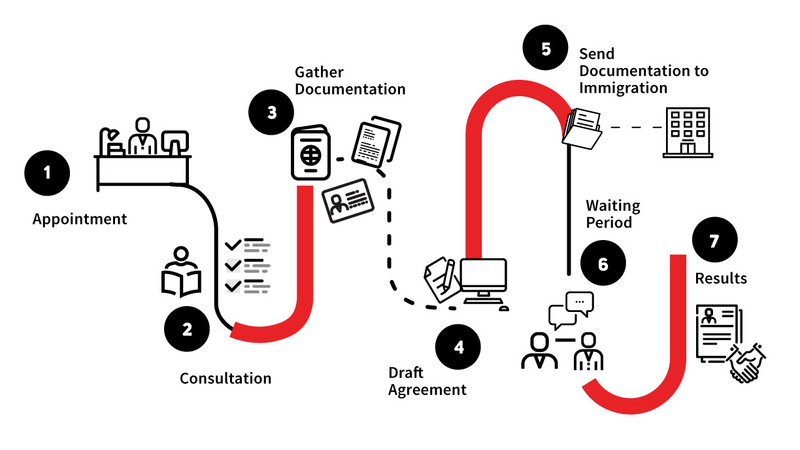 Once all relevant legal documents have been obtained, we will start to conduct all necessary works for your application to the Department of Immigration and Citizenship of Australia. During the waiting period, we will be taking on the role of communicating with the Department and working through steps in compliance with the departmental requirements.